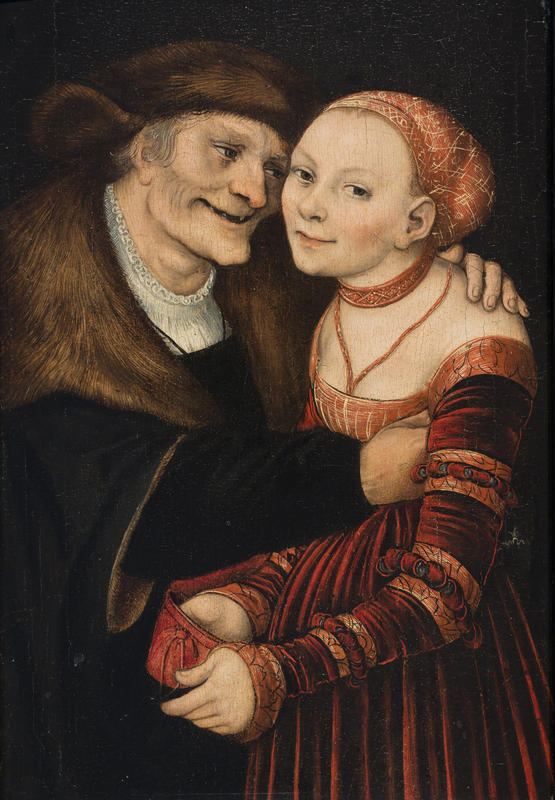 The picture shows a young girl robbing a foolish old man who is blissfully unaware of anything other than her charms. She has a smile of satisfaction on her face as she slips her hand into the lecher's purse. 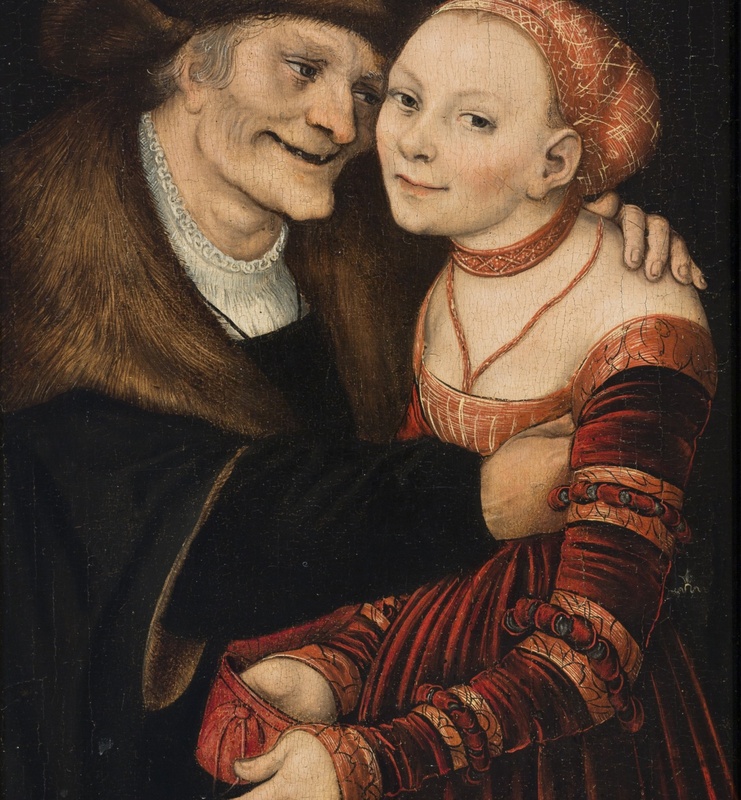 The subject of couples of different ages has a long tradition and was a favourite theme during the Lutheran Reformation. 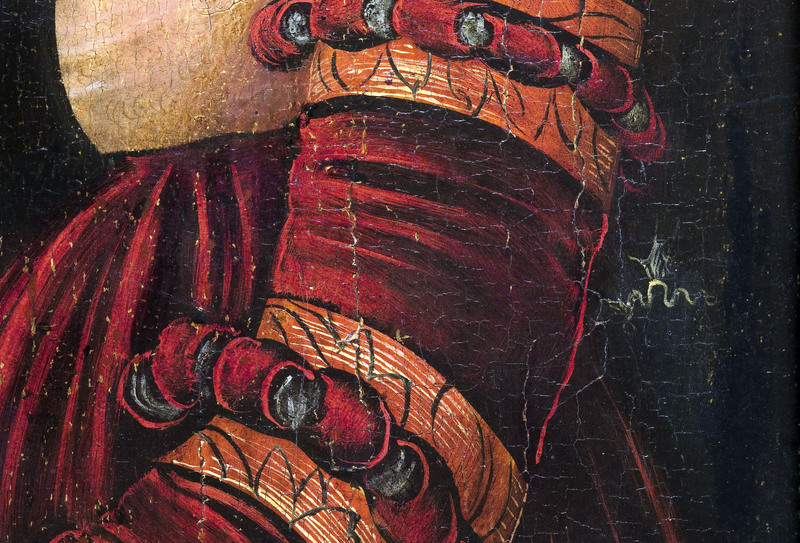 Cranach illustrated it frequently. This scene has a moralistic bent as it depicts woman as a dangerous creature and a source of sin, humiliation and perdition. 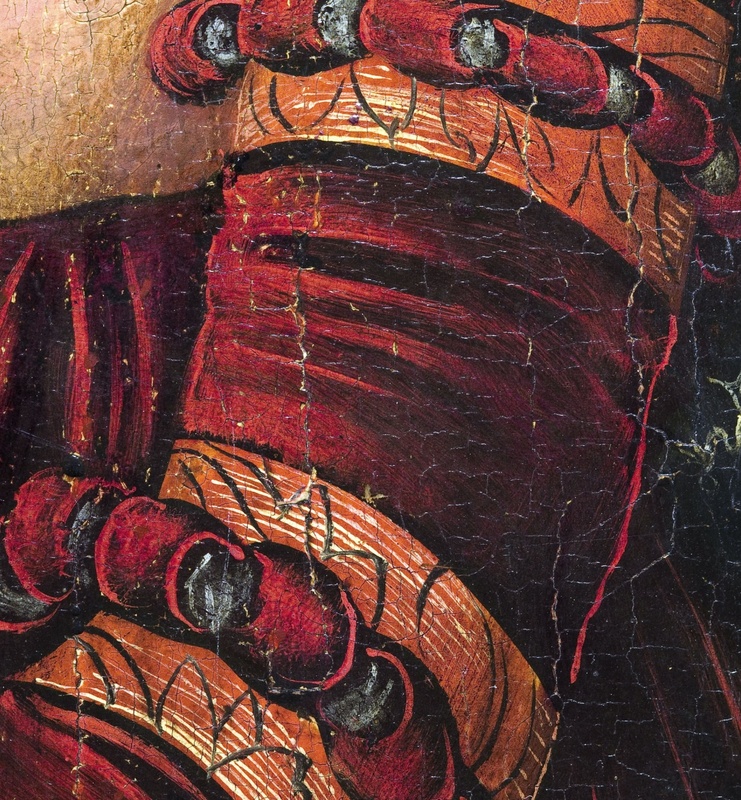 The work is signed and dated next to the girl's arm with the artist's distinguishing mark: a small dragon with its wings raised.